Stags manager Steve Evans during Mansfield Town v Forest Green, United Kingdom, 12 August 2017. Photo by Glenn Ashley. 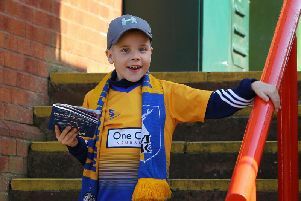 Here is our Big Match Preview of Mansfield Town’s trip to Accrington Stanley this Saturday. It contains all you need to know as the Stags try to end Stanley’s long-standing spell as their ‘bogey’ club.